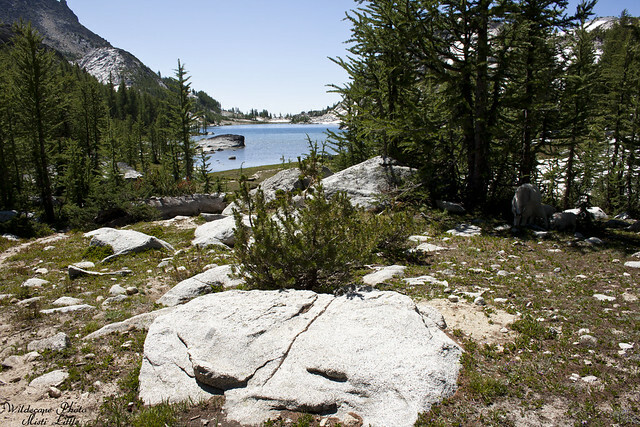 When Chris and I left Leprechaun Lake we decided to go to the north end of Perfection Lake at the trail junction to Prusick Pass. 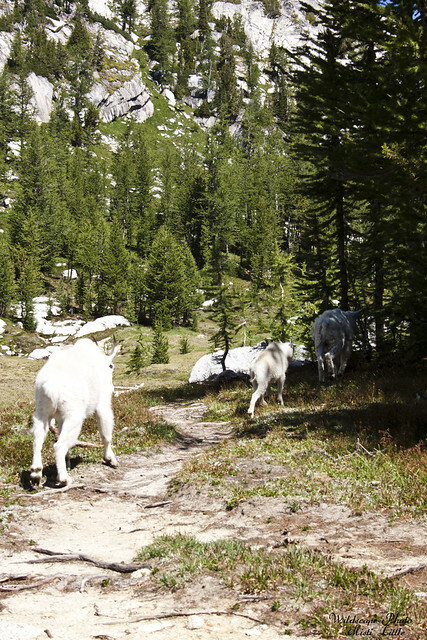 I wanted to go up there and see what was that way but after lunch Chris wasn’t feeling it, however we did wander down that trail just a bit and found, what do you know…more goats! 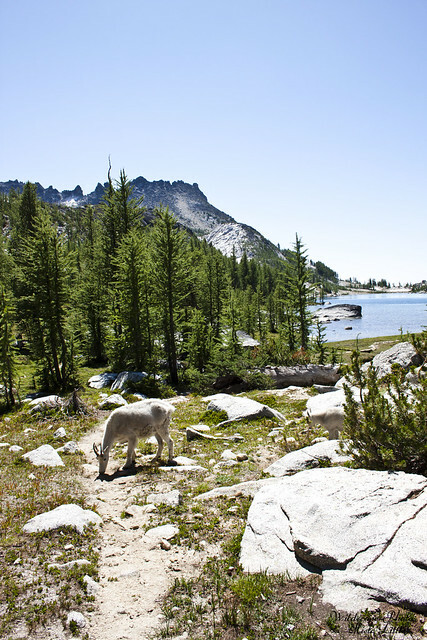 Our lunch view! 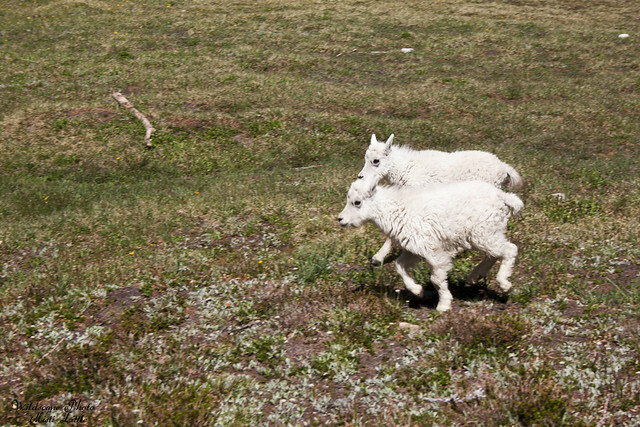 We sat just a bit further up, literally at the sign junction. 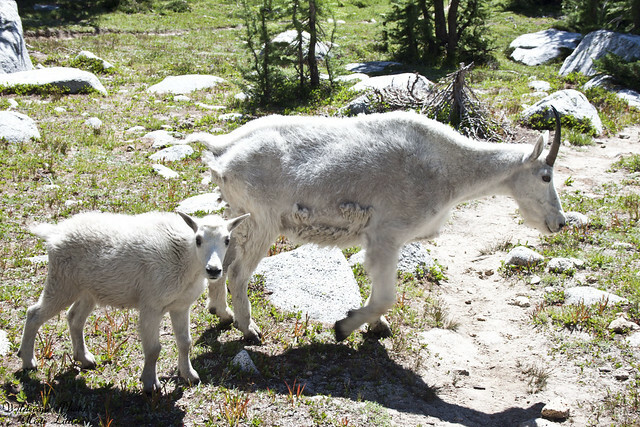 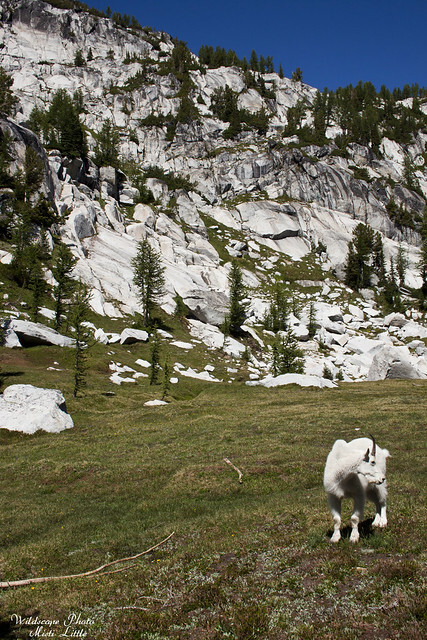 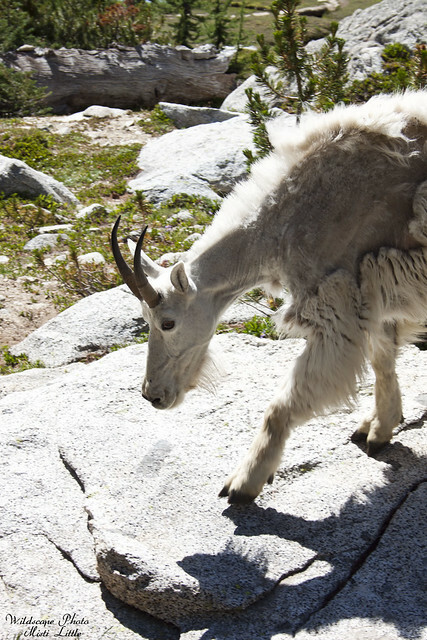 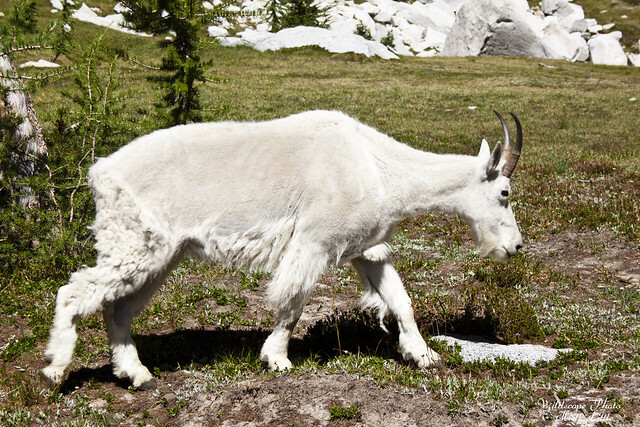 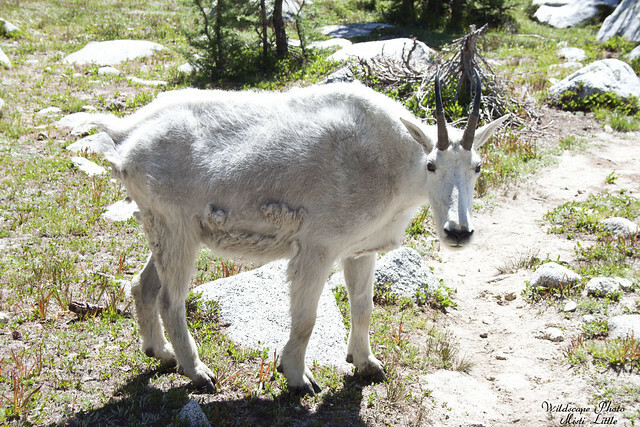 This wouldn’t be our last encounter with goats, we had some hang out with us at our final campsite on Aasgard Pass. 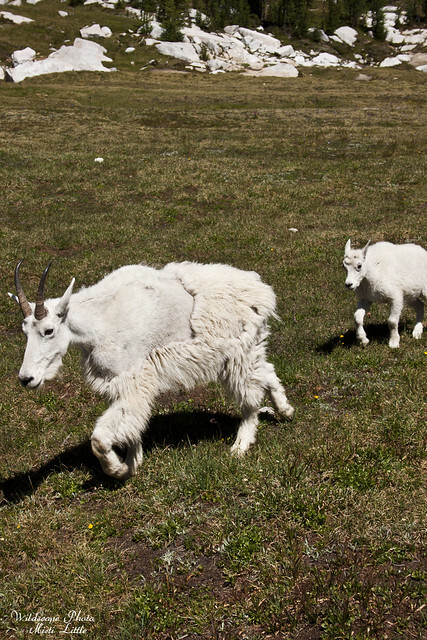 I sure want to pet them!